A few years ago, I was a stay at home mom, and while I loved staying home with my kids and watching them grow, there were times I would have LOVED to make a few extra dollars when they were at school or taking a nap. I wanted a job, but I didn’t want to commit to a 9-5. I just wanted something where I could work at my own pace and when I wanted to. So, if this sounds like something that you want, then that’s great, you’re on the right post. In today’s post, I’m going to talk about the many jobs you can consider as a stay at home mom, with my ultimate goal to make sure this post is one of the most respected and LARGEST guides on the web. I have researched a lot of these companies and strategies in the past and want to share everything I have learned in the process, helping you find the most honest companies online. They are all 100% legit, real and some of the best opportunities as of right now, I promise you 100%. Now, keep in mind some jobs are for those seeking a 9-5 or a full-time gig, so there is something for everyone. On some of my posts, I promote a lot of research companies, and it’s for good reason. For one, it’s a great way to earn some money on the side, all while working at your own pace. You’re not going to get rich, but I really believe you can make $200+ a month ($1-$20 per survey) if you log in and answer the survey questions at least one hour a day. And secondly, it’s a fun way to test out new products and work with some of the biggest names in the industry. In some cases, the brand will send you a product to try and pay you to test it out. Lastly, no experience is required. As long as you can read questions and answer honestly, these companies want to work with you. If you don’t know how working with research companies work, it’s pretty easy. Just register for a research company (it’s always 100% free and you can register with as many as you want), fill out your profile and then answer the surveys as they come in. Before each survey, you will know exactly how much you’re going to get paid, how long it’s going to take and it’s always optional. In short, you’re answering questions and that’s about it. If you want an extensive list, I do recommend you check out our 83+ legitimate survey companies list. There, you can explore all of the most legitimate companies on the internet right now. As mentioned, sign up with as many of these companies as possible and try to set a goal each day. One survey a day could mean $1 to $5, for instance. You might be surprised as to how much you can actually earn and how fast you can start earning. No, I’m not talking about meeting with a child in a library, but rather, tutoring kids online. From teaching Chinese children English to helping students with their math problems, there are a variety of awesome online tutoring companies that will pay you handsomely, sometimes as much as $40+ an hour. Now, the thing with tutoring is that a lot of these tutoring websites will ask that you either have a particular educational background and/or experience in order to qualify. For example, VIPKID asks that you have a bachelor’s degree and some educational experience to be considered. In some cases, however, you may be able to post a virtual job listing and wait for a student to contact you, but again, they may be looking for a particular tutor with the right amount of experience. Just keep all of this in mind. MUST READ: And if you’re serious about tutoring, check out The Novice Tutor, written by Adrianne Meldrum. As an experienced tutor, she wrote this book to answer popular questions such as how you can advertise, how you can grow your tutoring business and so much more. She can do a much better job than I can do since I have never made money tutoring before. If you’re looking more for a job that pays you more by the hour and offers a certain amount of hours a week, then working as a customer service agent in the comfort of your own home may be an option to consider. Whether it’s chat-based or over the phone, hundreds of very reputable companies are always looking to add talented individuals to their team. Just search for something along the lines of “at home customer service” or follow the links above and see what comes up. As any job, be sure to pay close attention to the job details to know what they are looking for as well as when you would have to work. Not all of these jobs are created equally! In the world of working at home, one of the best ways to make money online is in the freelance writing world. From writing blog posts to creating reviews, thousands of website and business owners need your writing help every single day. If you don’t like writing a ton, you could also consider the editor or proofreading route, all positions that can pay just as well and are part of this industry, at least in my eyes. And the great thing about writing is that you can work with a lot of awesome companies that allow you to work at your own pace, and the best part? You don’t have to be an amazing writer! Do keep in mind that this is just a pinch of what’s out there. In all honesty, there are THOUSANDS of places, specifically websites, where you can apply, but for now, I would say these are some of the larger resources. Like applying for any job, some of the companies that post on these job boards often ask for writing samples as well as your work history, so if you’re just starting out, you may want to start working with entry-level writing companies such as Textbroker to get the ball rolling. Just be forewarned that the payments to start are often quite low, as little as $0.01 per word, so don’t expect too much. Freelance writing can be a very lucrative gig, so much so that some people easily make $40,000+ a year working from home. And yes, while it can be a lot of work, it can be quite rewarding when you do connect with a few clients who pay you well and you learn how the industry works. 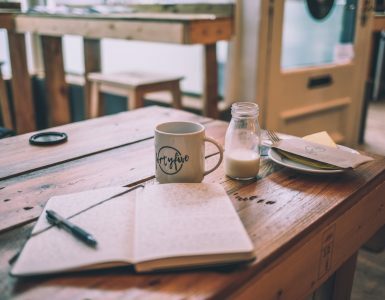 MUST READ: If you want to earn your first $1,000 as a freelance writer, then you may want to check out, Make Money As A Freelance Writer: 7 Simple Steps to Start Your Freelance Writing Business and Earn Your First $1,000 written by Sally Miller. In her highly-rated book, she offers no fluff and gives you an action plan to start making money fast if you’re interested in writing online. Just like being an assistant to a CEO, you could be a virtual assistant for someone similar, only that you’re working at home in your pajamas. You can read more about this particular job option in depth with our free guide, How to Become a Virtual Assistant. Your tasks will really depend on who you’re working with and what they need one. Do keep in mind that this industry is often competitive and even poor in pay as you may find yourself competing with overseas applicants who charge much less than someone living in the United States. MUST READ: If you have the time, I do recommend the book, Become A Successful Virtual Assistant: Learn the Business Side & Ditch 9 to 5 written by Melissa Smith. This book will teach you everything you need to know if you wanted to start your own VA business. If you don’t mind watching another child or maybe children, then consider opening up your home to make a few extra dollars, helping other parents with what you’re already doing. Plus, since you’re already a mom (I’m assuming since you’re reading this), you will have the experience to back it up on your resume. And if you’re going to be at home anyways, what’s it going to hurt to feed one or two more children? Since there’s a good chance there are a lot of working households with younger children in your neighborhood, many families are often looking for a very reputable babysitter who can help throughout the week. All of these websites work in a similar way. Create a profile, search jobs and then apply for the jobs that appeal to you. In some cases, you don’t even need to apply as parents can come to you if they like your profile and find you in a search. Remember, much like a job interview, be sure to sell yourself on your profile as this is how you’re going to get your job! Do you know two languages or even more? If so, you may want to work as a translator online, which essentially means you will help individuals convert documents or even videos from one language to another. Much like writing, this will work in the same way, only in that you will probably have much less competition, especially if you speak a language in demand. Some allow you to work as you please, while some companies may want to hire you on a part-time or full-time basis. Just be sure to read about the company in detail before applying to know what you’re getting yourself into. And again, like most of these methods I mention, it could take you some time to get the ball rolling, but once you do, it could lead to a very nice part-time or even full-time gig once you find the right clients/opportunities. The transcription industry is HUGE online and is a great opportunity for those who don’t mind listening to audio and transcribing it online. And while you don’t need much experience, just the right equipment, such as a foot pedal, you can get started right now as long as you can type about 50+ words per minute and can type accurately with very little grammatical mistakes. If you don’t know how fast you can type, refer to this free typing website, TypingTest.com. I also recommend this grammar test to see how you score. If you do score well, you’re probably a fantastic candidate! Now, in the world of transcription, there are SO many companies out there in various fields, ranging from legal to medical. I’m talking hundreds. If this sounds like something of interest, you’re in luck because we recently wrote about 100+ transcription companies that are hiring right now. And aside from our list, I highly recommend you check out the popular free job aggregator websites online, such as Indeed, since there are SO many companies out there that are looking for the following positions. When you’re searching, just make sure you include the keywords “at home” or “remote” to ensure you’re only browsing at-home work positions. MUST READ: Check out Jump-Start Your Work at Home General Transcription Career: The Fast and Easy Way to Get Started!, a highly-rated book written by Lisa Mills, who teaches you how to make an excellent salary in the transcription world online. You may have seen “blogging” recommended before on other websites, but the sad thing is that these bloggers are often pushing their product for HUNDREDS of dollars to teach you how to blog and make money. This is how they are making thousands. And YES, while you can make money blogging ethically, I highly encourage you to avoid spending hundreds of dollars on another blogger’s program as you can find almost all of the information they are spewing for free online. Even if you’re reading positive reviews, it’s for one reason — they are MAKING money off you. Why else would they bash the program? Trust me, I have been in this industry for more than 10 years and have read everything and bought so many products. I have yet to buy a product that was worth the investment, please trust me on this. If you want to prove me wrong, then do so in the comments! While it’s going to take some work and you may not see it pay off for at least a year, it is possible, I promise. Plus, you need to love to write and promote your work in your free time to see any sort of growth. It’s hard work, I can’t stress it enough, BUT it can pay off huge dividends. Again, blogging won’t pay off right away. It WILL take some time, but if you want the best passive income opportunity, this is a tough one to beat. For now, I encourage you to do as much research as you can and just take action right now to start learning from your own mistakes. Graphic design is a tough industry to crack, but if you have the right connections and enough work flowing in, it could be a decent opportunity for a stay at home mom. As just about everything on the Internet, as well as offline businesses, need some sort of graphical work done, this is where you can help and offer your services. From offering your services on Fiverr to bidding on jobs on Upwork, again, it will take some work in the beginning, but once you have a nice portfolio, the word could spread. Again, this is a difficult industry to break into as it’s bombarded with thousands of freelancers, including people who live overseas that often charge 10 times less than you may. But, if you feel you have an eye for design, I’m not going to stop you. For now, check out these Udemy courses that teach you the ropes of graphic design or dig deeper online to see how to get started. 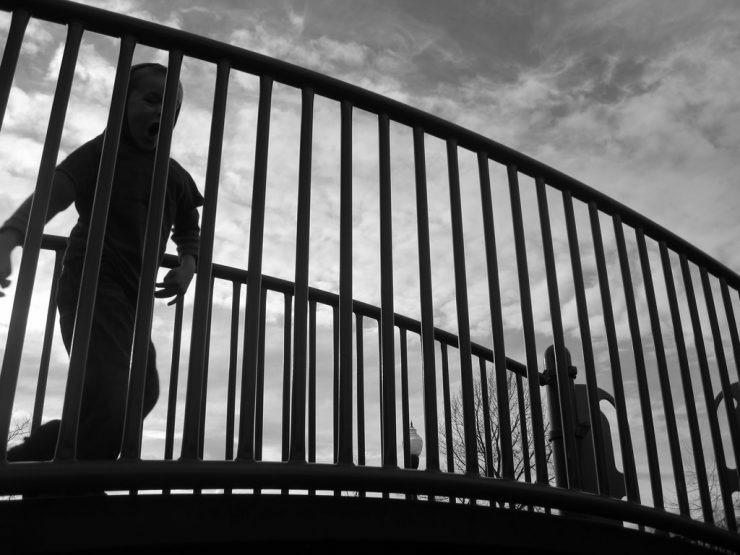 Much like graphic design, photography could be a nice option for a stay at home mom. While you may have to go to a designated spot to shoot a photo, this can often work to your advantage since you get to pick out the times and dates that work for you. Like a lot of these strategies that I mention, do keep in mind that it’s quite the competitive field and could take some time before you see your first sale. Plus, you need to know what’s in demand. Nonetheless, it is a way to make a few bucks on the side or even turn it into a full-time gig. If you like the idea of making money with photography, be sure to check out 75+ hobbies that can make you some money for some other fun ideas. Also included in the 75+ hobbies that make you money post written in the past, crafting is yet another way for a stay at home mom to make some decent cash. From homemade jewelry to handmade crafts, the ideas are endless, with a lot of demand out there for particular products made from scratch. If you’re already crafty with something and don’t mind making a ton of them to sell, research these platforms and see if there’s demand, but if you like the ideas of crafts and have no idea where you should start, then Pinterest or even a simple search, such as “craft ideas” could yield THOUSANDS of results. As Etsy is the best platform to sell, it doesn’t hurt to sell on as many of these platforms as possible to maximize your exposure. MUST READ: Some Etsy sellers make five figures a month, and to learn how they do it, I highly recommend you read a few of these Etsy top-selling books on Amazon. Learn about what sells, how to become the 1% and what successful sellers do to succeed. These low-cost resources will do a much better job explaining the process. Thousands of websites and apps are created and even modified every day, and these companies need your help to visit them and offer your feedback and even help find issues. 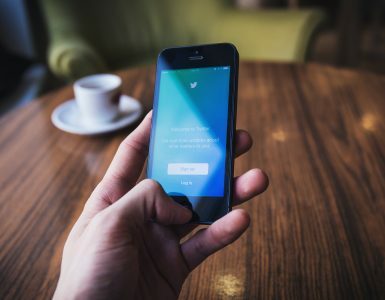 And to qualify, most of these companies simply ask that you work on a desktop and have a computer microphone since most of the time, you will be asked to share your thoughts aloud as you’re browsing the website. All restrictions do vary, so be sure to read the company’s FAQ to know what you’re getting yourself into. Most tests will take up to 25 minutes to complete and will pay about $10 to $20+ per test on average, all depending on who you sign up with, but it’s not hard to make $50+ a month if you test a website daily. Like the survey companies I mentioned prior, try to join as many of these companies to really capitalize on your opportunities as each one will have its own workload for you. As you can see, there are quite a few to join, but the great thing is that they are all 100% free to join and you can work whenever you wish. Just be sure to read the FAQ in detail before joining as each company will have its own policies and procedures to ensure you’re getting paid. And when you do, keep checking your email for updates or log into your accounts to see if anything is available. If you like the idea of evaluating websites but want something with more hours, consider becoming a search engine evaluator. In this role, you will be responsible for helping search engines evaluate their results, offering feedback based on the training you receive while being hired. This could include looking at websites, checking ads or even visiting a website to check its credibility. In short, it’s your job to make sure the search engines are producing good results. This job role is quite competitive and marketed quite heavily among the stay-at-home mom community, but it’s for a good reason. It pays okay ($12~ an hour), you can work from home and is a solid part-time gig. And if you’re interested, there are two big companies in this industry that you may want to check out, Appen and Lionbridge, — for more information. Most mystery shopping jobs do occur outside of the house, but since you’re working as an independent contactor, you can work whenever you want AND choose the jobs that you want. But, the great thing about mystery shopping is that there are often jobs that you can do from your home, such as evaluating a company over the phone. Usually, in this role, this requires you to call a company, ask a few questions and then complete a survey at the end of your call. Much like a lot of these freelancing jobs, you will be paid by the job, but in some cases, you could receive a free hotel stay, dinner or even bag of groceries on top of your pay. With a TON of mystery shopping companies out there, I just recommend joining as many as you can and completing the training to receive the most offers as possible. Again, you can work whenever you please and will be paid per job, usually anywhere from $5 to as much as $75+ depending on the scope of the job. There are a lot of scams out there, so if you find one not on this list, make sure you look at the company’s BBB rating and try your hardest to read reviews online to see what others are saying. MUST READ: The Mystery Shopper’s Manual, written by Cathy Stucker, is your complete guide to launching and growing your shopping career, regardless of your gender and age. It’s a great read for those considering this industry! I didn’t really know how to word this one, but in this section, I wanted to talk quickly about a great website that a lot of people use online to make a few dollars here and there called Amazon Mechanical Turk. In the future, I do hope to write an in-depth guide as to how it works in detail, but for now, I will keep it short and sweet. With no experience necessary, you could be making money in as little as 10 minutes once you set up an account, and in simple terms, let me talk about how it works very quickly. In general, companies and even individuals will post random short tasks that could include describing a picture, answering questions, researching something and so forth. Honestly, it can be just about any task online that takes less than a few minutes. For example, when I glanced at my dashboard, one job asked that I found an event coordinators phone number. This is just one of the many examples. Now, while there are a lot of low-paying jobs on the platform, there are almost always THOUSANDS of jobs available. It will take some time to figure out what’s worth doing and how the system works to your advantage. Don’t expect to get rich, but if you want a few dollars a day, it shouldn’t be that hard investing an hour of your time. This is kind of a cool side job that was recommended on this 500+ ways to make money online post, and no, it’s not going to get you rich nor should you consider it as a way to make a living. Instead, consider it as a fun way to earn a few dollars here and there, sometimes as much as $50+ per trial. And if you’re unfamiliar with the online juror process, it works just as the name sounds. In short, you will act as a juror in a mock trial, offering your input as to what you would vote if you were an actual juror in court. In turn, this helps lawyers determine how they should work with the case before they actually get to court. Again, this is a fun way to make some money, so don’t expect much. Plus, as thousands of others are wanting to do this as well, competition may be fierce. Just create an account, fill out your profile and watch your email inbox for any opportunity that comes your way. When it does, be sure to act fast since spots can fill up fast! If you’re a mom who plays an instrument, consider teaching others inside of your home on YOUR time. There are a lot of great ways to make money with your musical talents, but of course, it could take some time to find new clients. But again, as long as you work hard promoting yourself and create a good product and/or experience, there’s no reason you can’t succeed. This is a fun one, especially if you like scouring for deals at a local retailer or even garage sale. And in short, here’s how it works. No matter where you shop, the goal is to find an item that can sell for a profit on online marketplaces such as Amazon or eBay. So, for example, if you found a book at a garage sale for $3 and it sold for $17 on Amazon, you could easily triple your investment after the fees are even taken out. Multiply this opportunity by 20, 50, 100 and we’re talking some good cash, all while having some fun. Now, there’s a lot more strategy involved, but I can promise you that it works, you will just need to learn the ropes. Flipping can make you some serious money, but you will need to leave the home to find these goods and profits are not always guaranteed. Regardless, I have tried it in the past and had some fun and highly recommend you at least try it! If you have a skill that others want to learn, you could consider becoming an online consultant, where you take phone calls from individuals and businesses, answering any questions they may have. Clarity.fm, for instance, is a great platform to consider as they pay you by the minute and it’s a place where thousands of people go to find experts in a particular field. So if you feel you could answer any question that comes your way, it could be something to consider to do in your spare time. Ever dreamed of creating your own product? Well, it’s possible through what’s known as the Amazon FBA program and thousands of people are making a KILLING doing it. And while it would take me AGES to explain how it works, let me give you a quick synopsis. First, reselling will involve research on Amazon to see what’s in demand and what doesn’t have a lot of competition. The very popular website and Chrome extension, JungleScout, for instance, can show you what’s hot and what’s not. For example, you may find out that metal serving spoons sell well and not many people are selling them. 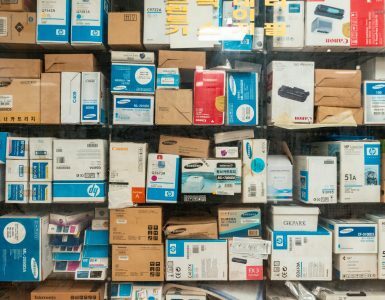 Then, once you find a product in demand with very little competition, you will work with a supplier, generally overseas, to create your very own private label product and sell on Amazon, in which you will eventually ship your private labeled goods to an Amazon warehouse, meaning there are no boxes sitting in your garage. Once shipped, you create your Amazon listing and wait for people to buy your product. Again, this is just to give you an idea of how it works and there is SO MUCH more to it. I actually considered this in the past and did a lot of research, but I found I just like blogging and writing better, but there is a lot of money in it, I know that much. If you want to learn more about becoming a reseller, I did take this highly rated course on Udemy for less than $15 and learned so much. I encourage you to do the same if you want to learn how the system works in depth. Just be prepared to set aside a few days of your week as it can be very overwhelming. And one last thing, like blogging, you will see a lot of people spewing out $100, $200 and even $1,000+ courses. DON’T buy into them. I made this mistake and found that the Udemy course was just as valuable and was a smidge of the price. Much like flipping mentioned above, you will essentially do the same thing; however, you’re going to flip services, instead of goods, and eventually outsource the said work to someone you trust who has the skill you need. So, for example, let’s say you sold some web design services to a local business but had no idea how to program, design or do anything website related, but you were able to find a business that’s willing to pay $1,000 for the job. Now, you turn around and send the work to a freelancer you found (usually overseas) for half the cost and you pocket the rest. This is the gist of it, but I took an awesome course at Udemy that explained it. You may want to do the same as this route just takes some marketing skills and next to no startup costs. It can be done with virtually any digital service, so if it does sound like something that’s interesting, you may want to check out the course mentioned above and take action. Again, I highly recommend it for those who know how to find businesses who need help. As you may already know, YouTube and video marketing, in general, is HUGE. And if you have the right video editing skills (Adobe Premiere, etc), your skills could be in demand. From working with a private company to starting your own gig on Fiverr, consider offering your services if you feel you have the experience to create some nice footage. Like a lot of these freelancing opportunities, however, just keep in mind it could take some time before you see your first dollar. You will need your own sewing machine and supplies, of course, but if you have the talent to repair clothing and other items, you could earn a few thousand a year working in the comfort of your living room. And if you don’t want to become an entrepreneur and would rather work for someone else, there are actually jobs available where you can work at home. To find these jobs, a quick search on Indeed for “home sewing,” for instance can produce some decent results. Yes, you probably need a license to do so, but so many stylists work right out of their home, meaning they can set their own schedule. So whether it’s while your children are at school or during a nap, dedicate a room to your new salon and start recruiting new clients. Like a lot of methods I mentioned here, there are a variety of ways to advertise your services, including Facebook groups, Craigslist, Nextdoor and so many more. And seeing it’s a recurring service, your clients should keep coming back to you as long as you do a great job. Some HATE laundry, I know, but what if I told you that you could make some money doing someone else’s laundry? Yes, just like the dry cleaners, there are many households who would LOVE to hire someone to do their laundry, fold it and deliver it fresh and clean. No experience is required and can easily be done while you’re at home. And as long as you have a washing machine and dryer, you’re good to go. To find customers, consider Care.com or TaskRabbit as two great options to get started. I think you might be surprised at how much you can make folding clothes. Yes, the newspaper is still delivered and these companies need your help delivering them early in the morning, meaning you can often get the job done before the sun even rises. With the average route paying $400 to $800 per route/per month, it could be something to consider, but do keep in mind that you will need to have someone cover you for the days you want off since these companies expect you to deliver seven days a week. It could be more work than necessary. Plus, you will need your own car to deliver, so make sure you factor in the gas expenses as well. If you’re an early bird and don’t mind throwing papers in a mailbox or driveway, most of these jobs can often be found on Indeed or similar job posting-like websites and could be a great option if you have someone to watch your kids in the wee hours of the morning. This was an awesome recommendation on Glassdoor and could a consideration if you don’t mind “hosting” a student for a few weeks at a time for about $200 a week. Much like a roommate, you will be responsible for their shelter and meals, all while making sure he or she is safe while inside your home. Not really a job since they will be at school most of the time,it could be a decent way to make a few hundred dollars a month and considered as a great way to learn about someone else’s culture. To find an exchange student, do keep in mind that you will need to pass a background check, but if you don’t have a problem with that, websites, such as EFExchangeYear and AYUSA.org, could connect you with potential students. People need to eat and what a better way to make a living from home while cooking in your home kitchen. From selling at a local farmers market to creating your own website to ship from, it can be done, but as you can imagine, local laws will apply in regards to food preparation, so don’t forget about this. While I don’t have much more to add as I have never done it before, I did find a few highly rated books on Amazon that could help you get started if interested. In this section, I just wanted to list a few ideas geared toward stay-at-home moms who may already have the appropriate educational degree and/or experience. And while a degree isn’t mandatory for some positions, you will often be at the bottom of the resume stack if you do apply without one. Remember, remote positions are often HIGHLY in demand. Have an accounting degree or even your CPA license, then you may want to try applying for an accountant at-home position or even consider a bookkeeper, a position which requires no such license. Even if you don’t have a finance-related degree or no degree, some companies may be willing to hire you based on your experience. As I mentioned and can’t mention it enough, Indeed and comparable websites will always have job listings like these. Just make sure you read the description in detail to know what’s expected in regards to the job and what they expect of you. Good with data and have the education to do so? Most of these jobs pay north of $60,000 a year and can even offer some great benefits. I know the computer science industry is male-dominated, but I know there are some women who are out there that are, yes, stay at home moms who used to work in the industry. Even if you don’t have a ton of relatable experience, there are entry-level positions often available, but like any position such as this, it could be quite competitive. Again, this is all based on your education and experience, and while I don’t have a particular company I recommend, it’s best to use Indeed or your favorite job search tool to find these opportunities. Glassdoor can be a great resource as well that gives you an inside look as to what the culture is like. In most cases, a degree and certified experience is required, but it could be an option to consider if interested. Yet another broad topic, but there are a variety of marketing-like jobs available, offered by both large and small companies. I don’t have specific companies in mind, so again, I just recommend you search your favorite job website (Indeed, etc) and see what kind of opportunities exist. As you can see, there are a TON of work at home opportunities for stay at home moms. Yes, some will take a lot of work to get the ball rolling, but in some cases, it may be as simple as applying for a job and starting as early as next week. And whether you want to work for a company full time or work as you please, I hope this list helps you find something that not only makes you a few extra dollars but allows you to spend time with your kids, all while having fun! I know there are tons of opportunities, so if I’m missing any or want to recommend an option, do let me know in the comments below. 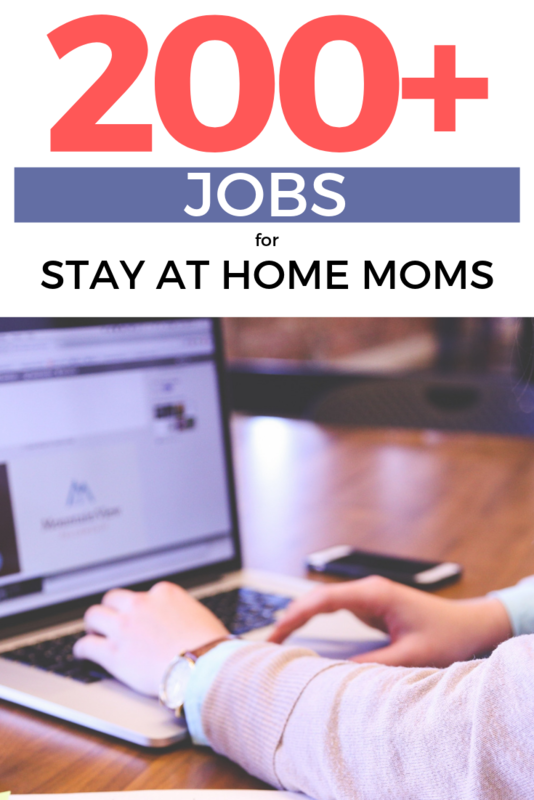 In the meantime, explore this list, take notes and use any of my resources to hopefully find the perfect stay-at-home mom gig.